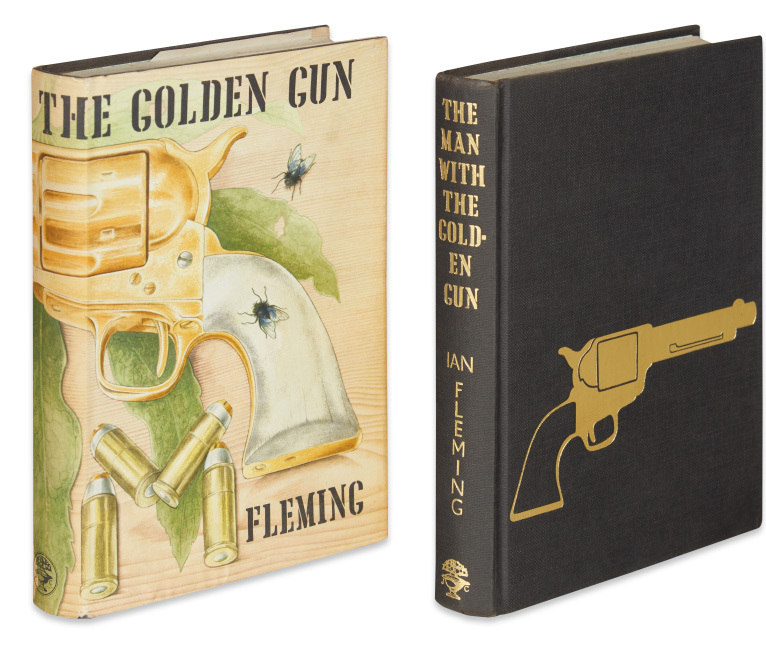 This sale features significant material by the man behind everyone’s favorite MI6 agent, James Bond, including a first edition of Casino Royale, Ian Fleming’s first Bond novel, as well as presentation copies of Goldfinger and Thunderball with excellent associations, and the rarest Bond title of all: a first edition, first impression of The Man With the Golden Gun that has the gilt gun stamped on the front cover. 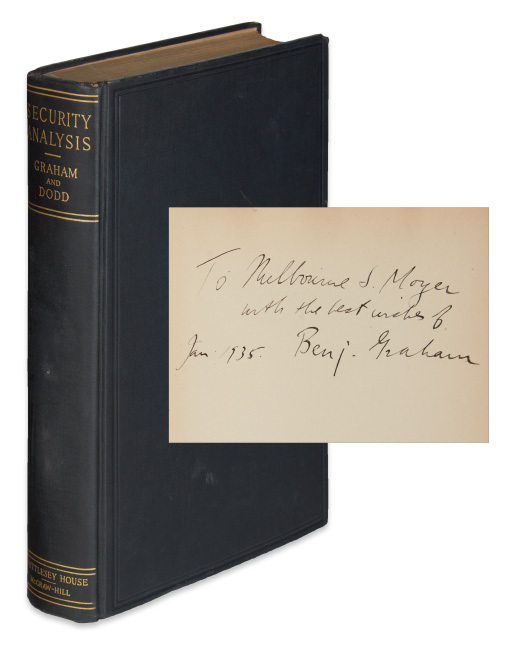 A copy of Security Analysis, likely the first known, is on offer bearing the signature of its principal author, Benjamin Graham. 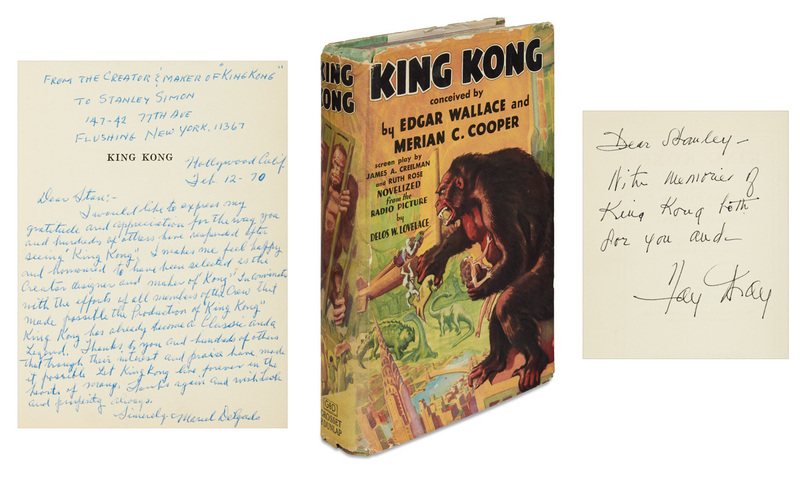 This a first edition, second printing, inscribed to a Wall Street trader. Other twentieth-century titles of note are first editions of F. Scott Fitzgerald’s Tender is the Night, and an unrestored copy of Hugo Gernsback’s foundational sci-fi novel Ralph 124C 41+ A Romance of the Year 2660, each in the original dust jacket. 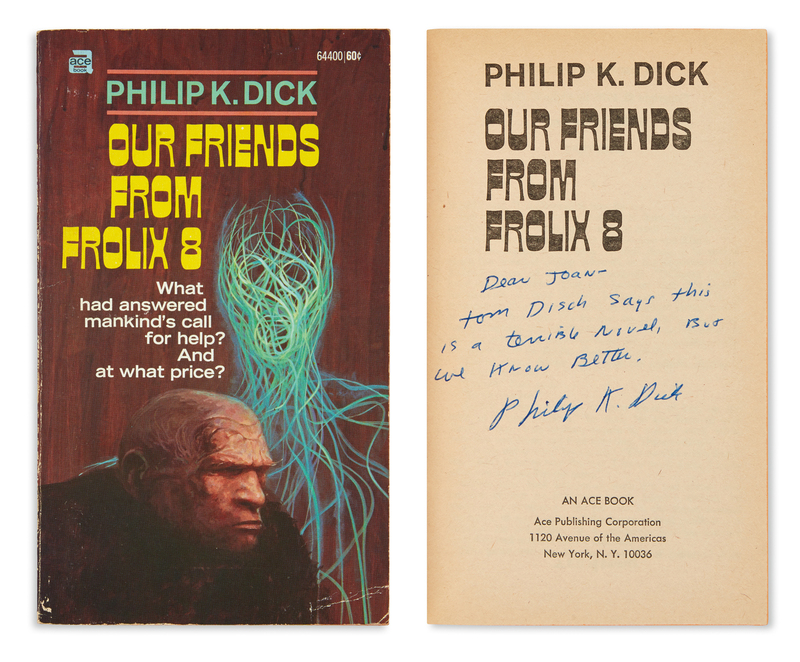 Fresh-to-market Ray Bradbury material from the estate of Stanley Simon includes typescripts, screen and stage treatments, early periodical appearances and all manner of ephemera, much of it signed. Gaston Leroux’s The Phantom of the Opera, a first edition in the dust jacket with cover art that reproduces the frontispiece, will have its inaugural auction appearance. 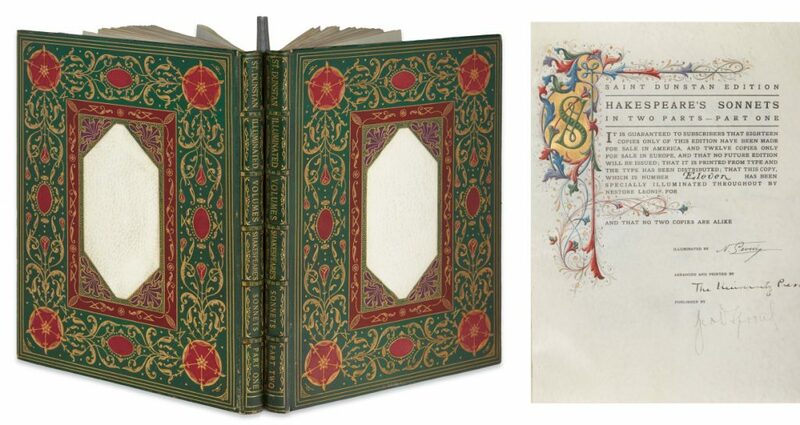 The Saint Dunstan edition of Shakespeare’s Sonnets, spectacularly bound by Trautz-Bauzonnet, is one of only 30 subscriber’s copies issued, and this is one of 12 printed in Oxford, illuminated by Nestore Leoni. From the nineteenth century comes Ralph Waldo Emerson’s copy of the reconstituted issue of the Transcendentalist periodical The Dial: A Monthly Magazine for Literature, Philosophy and Religion, with notations in his hand. Lot 130: Ian Fleming, The Man with the Golden Gun, first edition, first state with the golden gun on the cover, London, 1965. Pictured here with and without the dust jacket. Estimate $6,000 to $9,000. 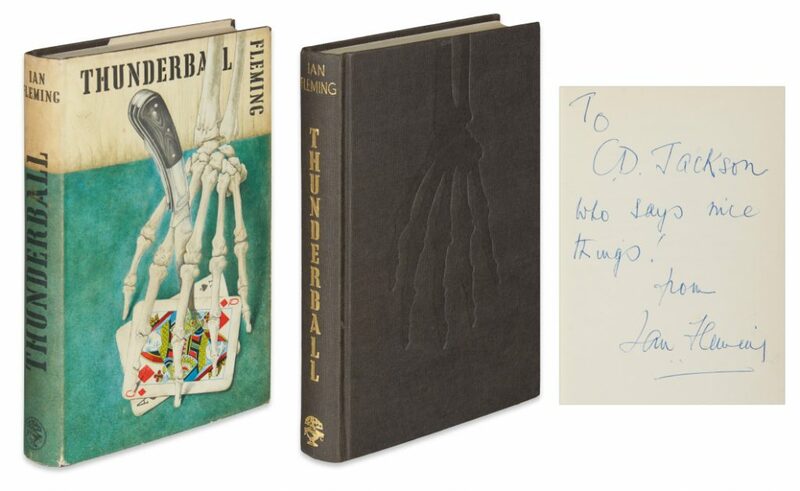 Lot 134: Ian Fleming, Thunderball, first edition, presentation copy, inscribed to C. D. Jackson, former CIA agent & publisher of LIFE Magazine, London, 1961. Pictured here with and without the dust jacket. Estimate $8,000 to $12,000. 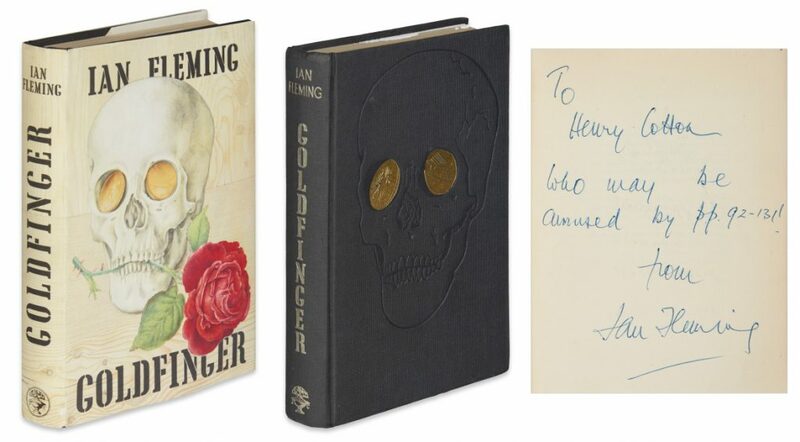 Lot 127: Ian Fleming, Goldfinger, first edition, inscribed to Sir Henry Cotton, MBE, London, 1959. Pictured here with and without the dust jacket. Estimate $12,000 to $18,000. 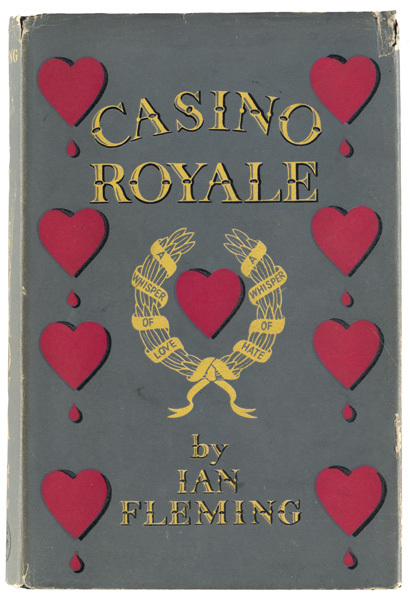 Lot 124: Ian Fleming, Casino Royale, first edition, first impression, in unrestored first state dust jacket, London, 1953. Estimate $12,000 to $18,000. Lot 3: Benjamin Graham & David L. Dodd, Security Analysis, first edition, second printing, presentation copy inscribed by Graham to a Wall Street trader, New York, 1934. Estimate $18,000 to $25,000. 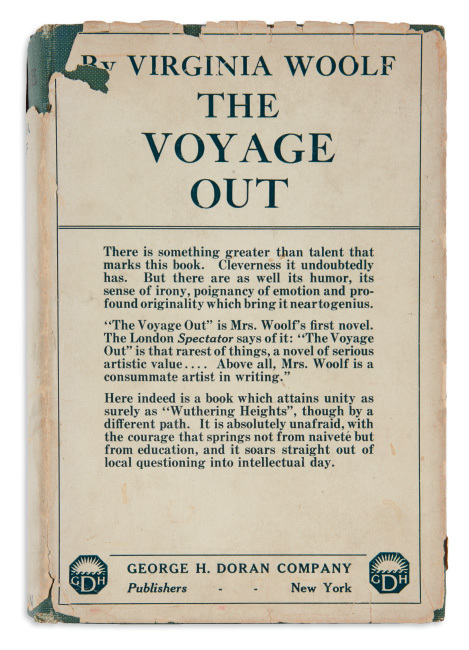 Lot 271: Virginia Woolf, The Voyage Out, first American edition of the author’s first book, in the rare dust jacket, New York, 1920. Estimate $2,000 to $3,000. 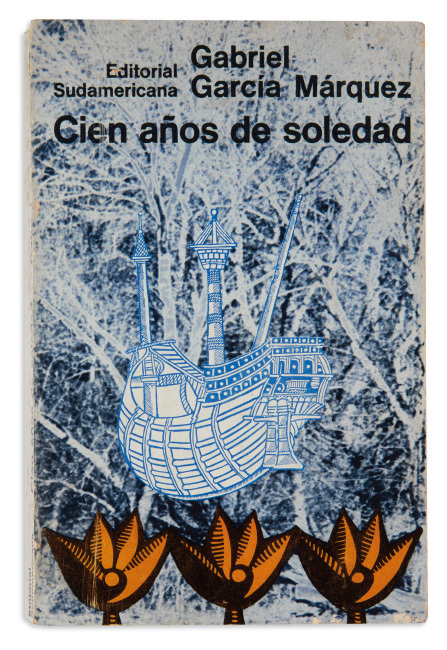 Lot 144: Gabriel García Márquez, Cien años de soledad, Buenos Aires, 1967. Estimate $2,000 to $3,000. 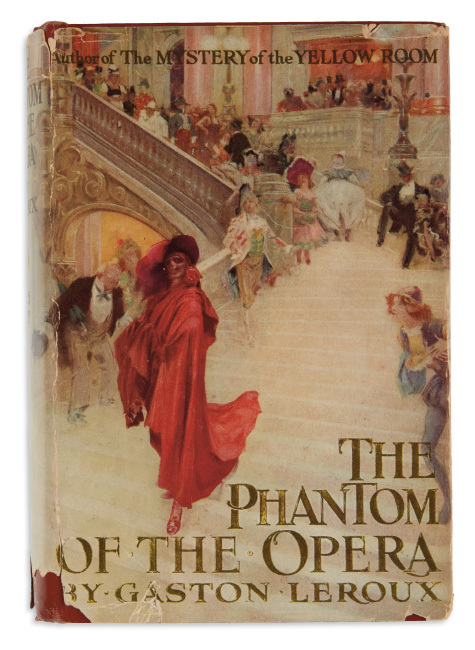 Lot 183: Gaston Leroux, The Phantom of the Opera, first American edition, first printing, New York, 1911. Estimate $12,000 to $18,000. 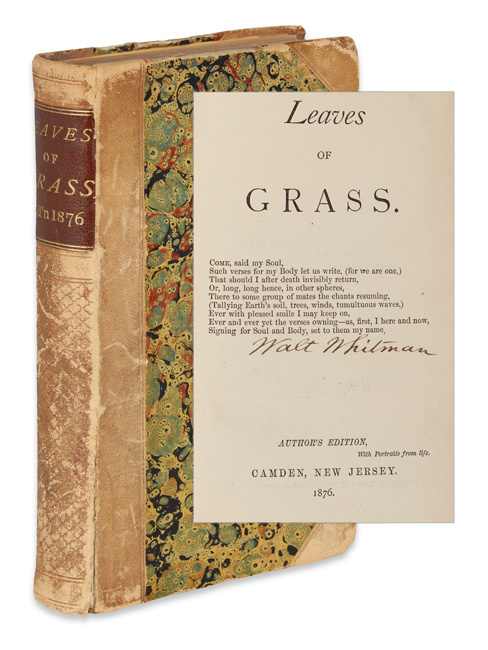 Lot 265: Walt Whitman, Leaves of Grass, signed, Camden, 1876. Estimate $4,000 to $6,000. 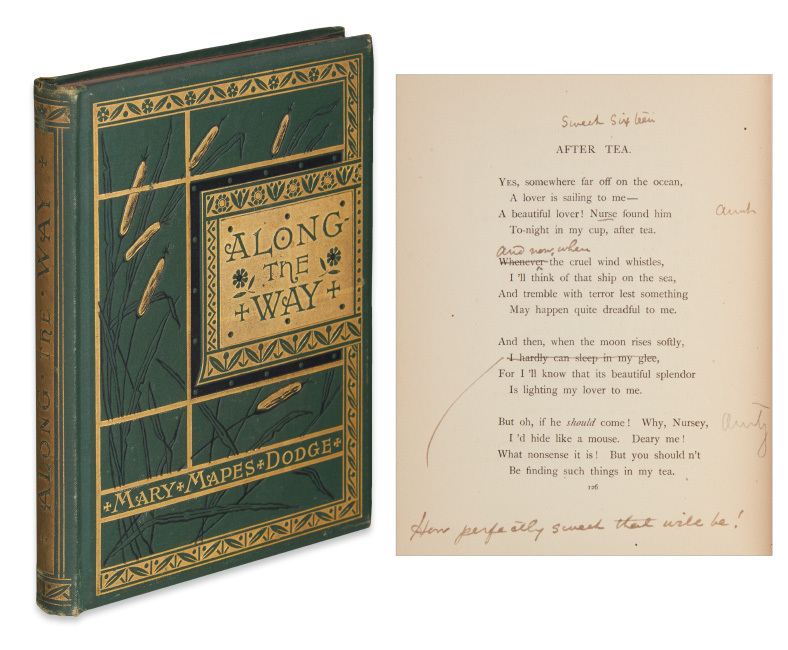 Lot 52: Mary Mapes Dodge, Along the Way, first edition, author’s copy, annotated in her hand, New York, 1879. Estimate $1,800 to $2,500. Lot 105: The Dial: A Monthly Magazine for Literature, Philosophy and Religion, first edition, Ralph Waldo Emerson’s copy, Cincinnati, 1860. Estimate $2,500 to $3,500. Lot 5: William Shakespeare, Shakespeare’s Sonnets, In Two Parts, limited Saint Dunstan edition, Oxford University Press, 1901. Estimate $6,000 to $9,000. 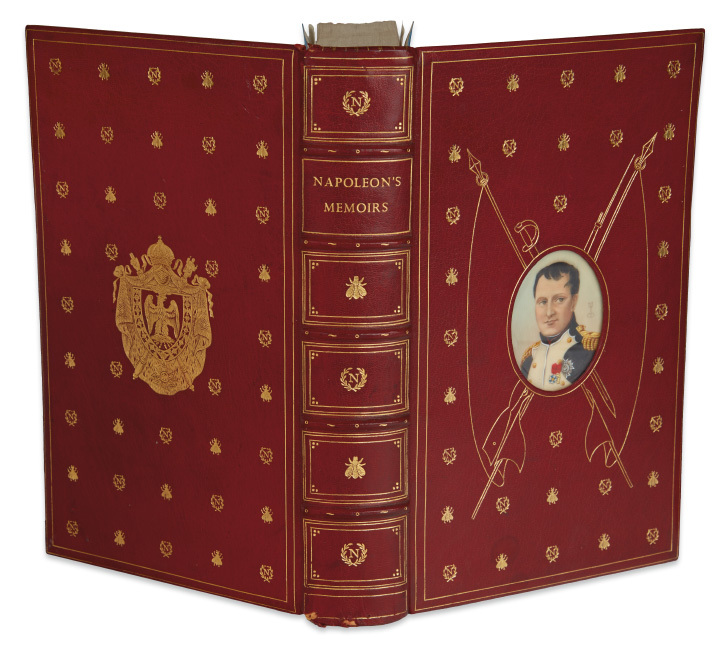 Lot 3: Napoleon Bonaparte, Napoleon’s Memoirs, limited edition in Cosway-style binding, signed by editor Somerset de Chair, The Golden Cockerel Press, London, 1945. Estimate $1,500 to $2,500.